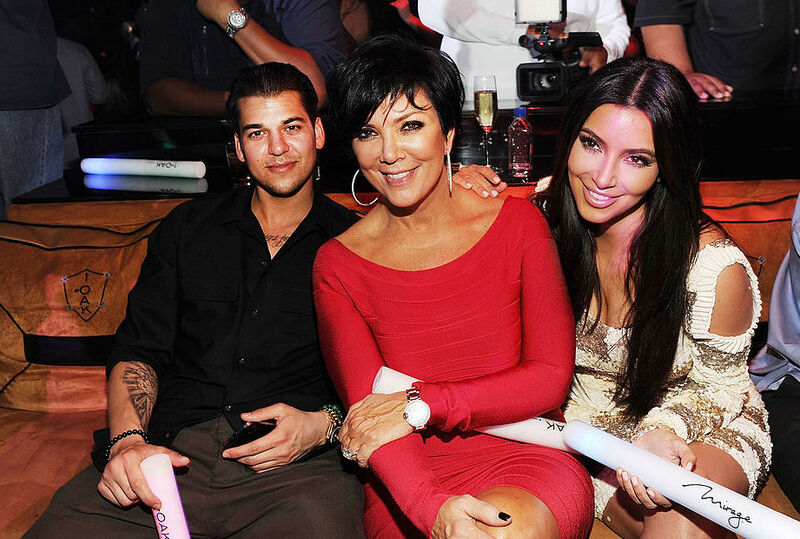 Perhaps you’re wondering how the Kardashian clan is handling Rob Kardashian’s engagement to Blac Chyna. Are they holding secret emergency family meetings and discussing what this means to their future? Are they positively fuming? Or are they simply content to use Snapchat to express their feelings about this significant news? Rob shared two funny Snapchat vids taken by Kim that tell you everything you need to know about her DGAF attitude toward her little brother’s unexpected engagement. And then, just for good measure, he also posted a Snapchat video showing his bride-to-be twerking — because what else are you going to do on a Friday night when you’re young, wealthy and could be dashing off to Brunei for a weekend date, just for the hell of it? The first video shows Kim ready for baseball season with the help of special effects. Her greeting: “In honor of Rob’s big day,” spoken in what could only be described as a voice that reeks of boredom and despair, kind of says it all. She’s so over all of this engagement news and gossip. Kim’s sense of humor really comes out in this second video, though. Her fake crying, accompanied by “Rob, we really need to talk,” has to be her way of poking fun at the engagement and at the assumption most people have that soon-to-be Chyna Kardashian is about to destroy the fabric of their existence. Rob and Chyna were best friends until Kylie Jenner hooked up with Chyna’s ex-fiance Tyga (with whom she has a baby). Naturally, that complicated matters, but in Chyna’s defense, she has maintained when asked that she thinks Kim is “cool.” In other words, there is hope yet that these two can move forward for the sake of Rob and keep things civil. Given Kim’s lighthearted take on the matter via Snapchat, I feel even more certain this will happen. But really, I’m just delaying showing you the video you really want to see. Or don’t want to see. Either way, here is it — Rob filming Chyna twerking while throwing dollar bills at her derriere. Because, again, Friday night in Beverly Hills, people. Nothing to do.